Spring is a great time to think about making some changes in your routine to move towards better health. NC Cooperative Extension has the perfect program for you! 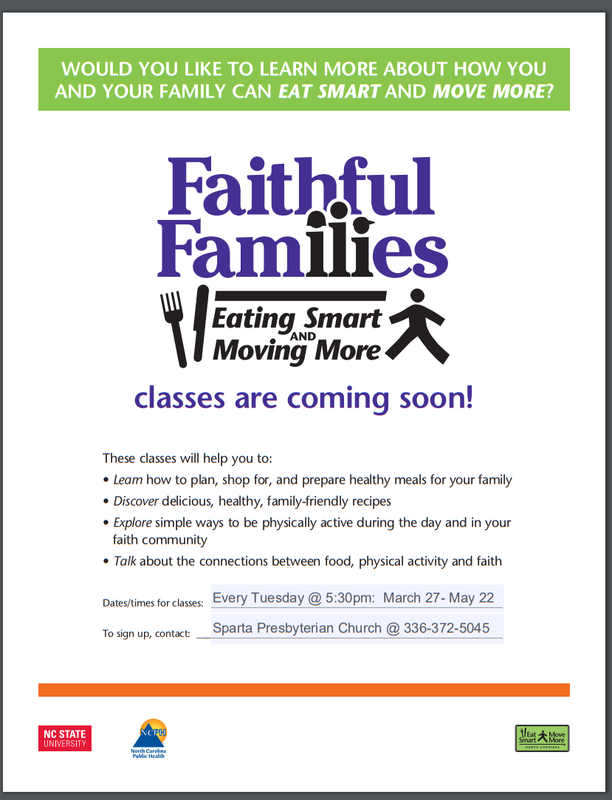 Join us for Faithful Families: Eating Smart and Moving More. Sessions provide ideas for easy meals and ways to move more everyday.